Be aware of thoughts and emotions. Check in with yourself: are you centered and calm, grounded to your own sense of being, and secure in that, or are you reacting to a client’s distress, and find yourself edgy and agitated? Observing our own thoughts and emotions is a key to remaining calm when confronted with challenging people and situations. By practicing finding stillness during non-stressful times, we give our brains and bodies the opportunity to find it in the midst of challenge, as well. Meditation is one avenue to stillness, but many of my clients have found other things that help drop them into a place of peace. One of my coaching clients took his dog for a long, slow walk at the end of the day which gave him the opportunity to unwind and practice dropping into calm. Actively look for the good. Our brains are wired to scan the horizon for the negative, and when we find it, we latch on and look for more. That was necessary when lions, tigers, and bears were chasing us in days gone by, but not so helpful in modern times. We can train our brains to actively look for the good and then enjoy the positive emotion that comes from noticing it. Some attorneys have relayed keeping a “good stuff” folder for this very reason. This folder holds thank you letters from clients and other things that induce positive feeling. On days that are particularly challenging, looking through the contents of that folder helps them reconnect with why they do what they do, gives them a boost of good feeling, and restores them to a place of calm. There will always be challenging situations and people that cross our paths. How effectively we’re able to deal with them begins with maintaining our own sense of equilibrium. 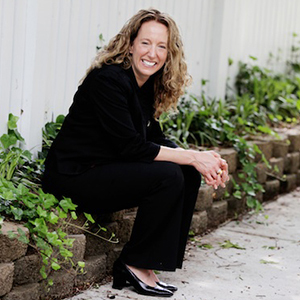 Sarah Levitt is an executive coach and motivational speaker who uses the best tools and techniques available to create positive change in individuals and organizations. She has presented at conferences across industry, including the NCBA Annual Meeting. Sarah can be reached at sarah@sarah-levitt.com or www.sarah-levitt.com to learn more about her speaking and one-on-one executive coaching services.